The Sports Bra Project increases access to sports for women and girls by removing barriers to participation. We provide sports bras to athletes who don’t have access to such a basic piece of equipment. Players with Gonzo Soccer in Mexico received a shipment of sports bras in April 2018. The Sports Bra Project has its roots in Africa, where founder Sarah Dwyer-Shick discovered that the small collection of sports bras she'd brought as gifts for young soccer players in rural Namibia were instead eagerly accepted by older players living near the capital city, Windhoek. Many members of the Namibian National Women's soccer team had never owned something as simple and essential as a sports bra. In her soccer-related travels, Sarah quickly learned the need isn't only in Namibia. So now, through a growing network of female coaches and athletes who collect and distribute sports bras, The Sports Bra Project works to make participation in sports possible for all girls and women. To ensure that the equipment gets to its intended location, the project works with trusted partners in the U.S. and abroad. Sports Bras are hand-delivered by individuals and organizations when they travel overseas. Players with Growing the Game for Girls in Uganda received sports bras and uniforms from The Sports Bra Project and Downtown United Soccer Club in January 2018. There has been significant growth in sports programming available to girls and women around the world. Yet certain barriers to participation too often remain unaddressed. Proper equipment is a simple -- and yet major -- obstacle. Without the support and coverage of a sports bra, essential for both comfort and cultural modesty, girls and women are often hesitant to participate. As a result, even the best run and well intentioned sports programs can be inaccessible. The Sports Bra Project aims to change that. Through a growing network of donors and recipient organizations around the world, The Sports Bra Project is making a difference in the lives of girls and women eager to join a sport. Around the country, individuals and organizations alike are donating sports bras or leading collection drives. Whether you're a recreational or highly competitive athlete, currently playing or retired, or the relative of an athlete, we hope you'll join us in our work to make sports more accessible to girls and women across the globe. 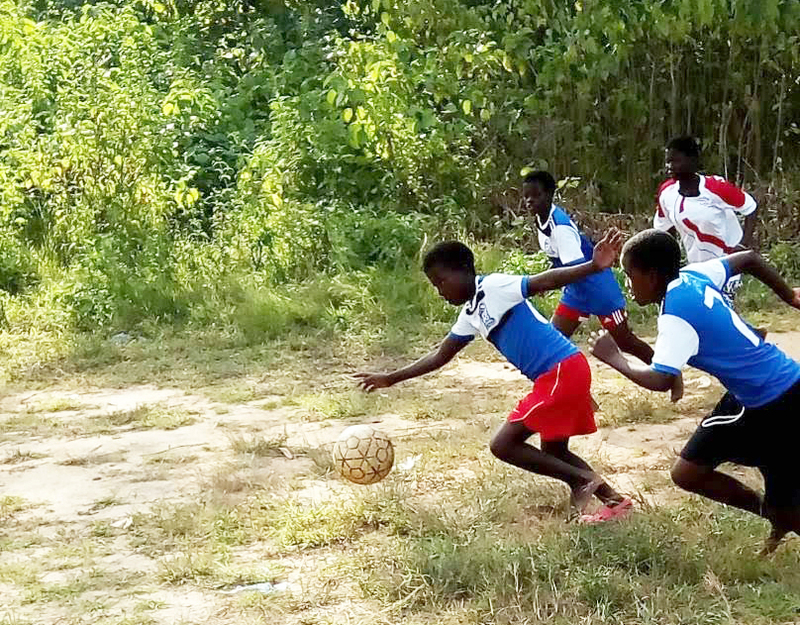 Players with the Bandawe School for the Deaf in NkhataBay, Malawi, are among those who have received sports bras and uniforms through The Sports Bra Project. The Sports Bra Project is designed to adapt to the resources and needs of interested individuals and organizations. Anyone can contact us and simply donate a new sports bra, or start a bra drive that can be organized by a team or group. We provide the flexibility needed for participants to decide how they want to run and scale their sports bra collection in the way that works best for them. If you are interested in running your own Sports Bra collection event, want to donate Sports Bras, or make a financial contribution, get in touch.